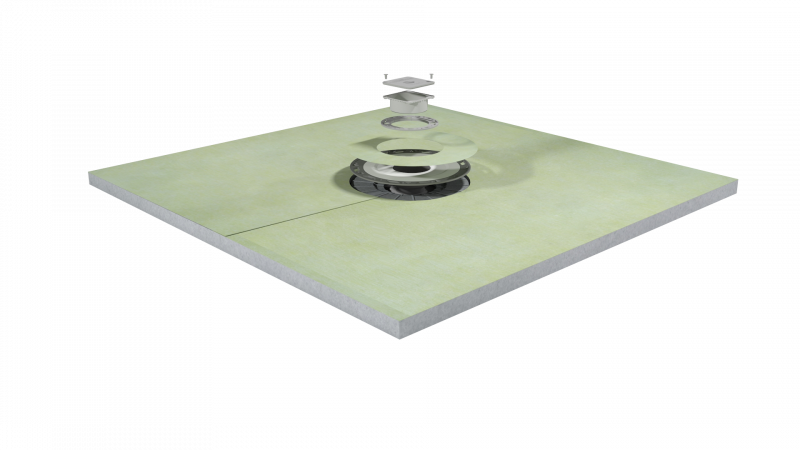 Profilitec, an Italian brand that manufactures floor tile products and related installation solutions, has developed a waterproofing system for shower installations. Shower Tray, a pre-sloped unit that incorporates the Foiltec Waterproof and Vapour Tight Membrane, which is pre-attached, assuring simple and quick installation while meeting and surpassing the requirements for steam showers, the company says. Shower Curb, which is made of high density EPS foam and pre-wrapped in Foiltec Waterproof Membrane on all sides. An opening along the curb allows for ​height adjustment if needed. Foiltec Membrane, a waterproof and vapor-tight product with a 0​.033 perm rating rating. Showertec will be on display at Coverings 2018 trade show from May 8 to 11 at the Georgia World Congress Center in Atlanta.